Saudis love their sweets. 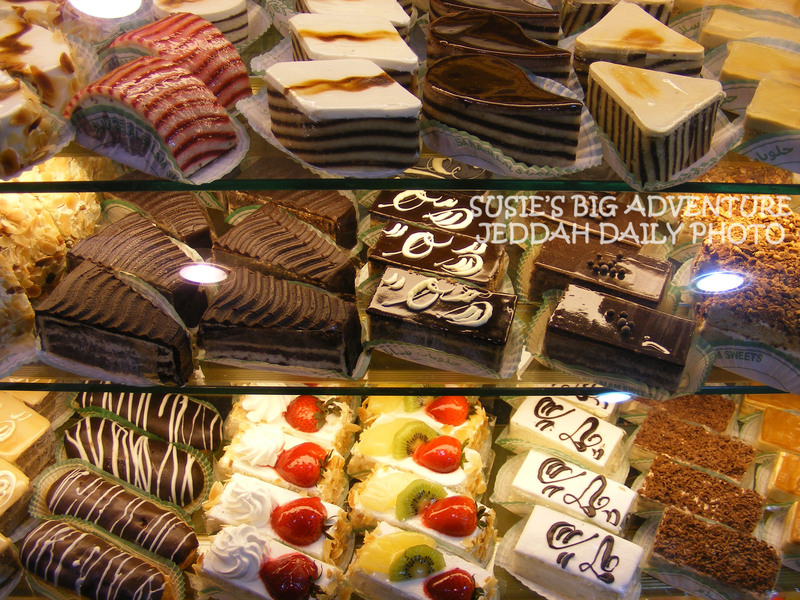 There are many more bakeries and sweets shops here in Jeddah than I am used to seeing in the states. 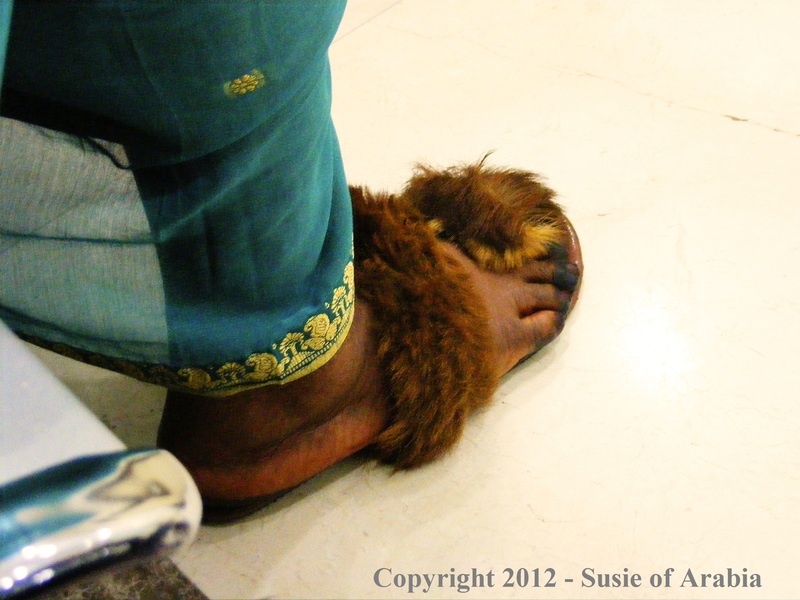 Whenever Saudis receive guests in their homes, the guests are always offered drinks and sweets. City Daily Photo features photo blogs of cities all around the world. The first day of each month is City Daily Photo’s Theme Day, and May’s Theme is “BAKERIES.” If you like to do armchair traveling, please check out the City Daily Photo blogs – you will see some amazing sights. 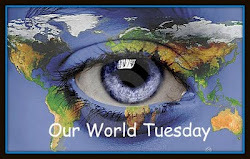 Be sure to visit OUR WORLD TUESDAY, where family-friendly bloggers share a unique glimpse into what life is like all around our ever-amazing planet. 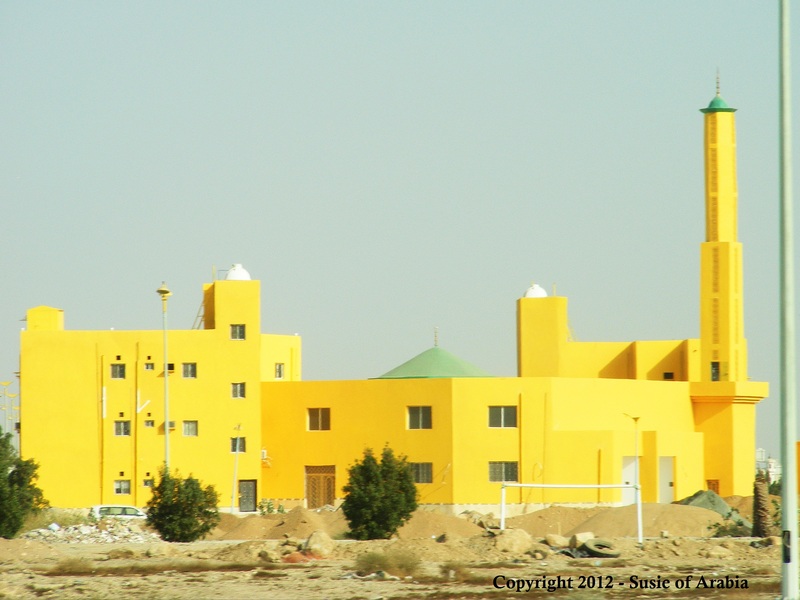 I’ve never seen a mosque such a bright color as this one! This is a brand new mosque near downtown Jeddah. I’m guessing that it was built by a businessman who also built the matching colored apartment building behind and to the left of the mosque. It’s likely that he and his family will live in the new apartment building and the man will be able to easily attend prayers there. 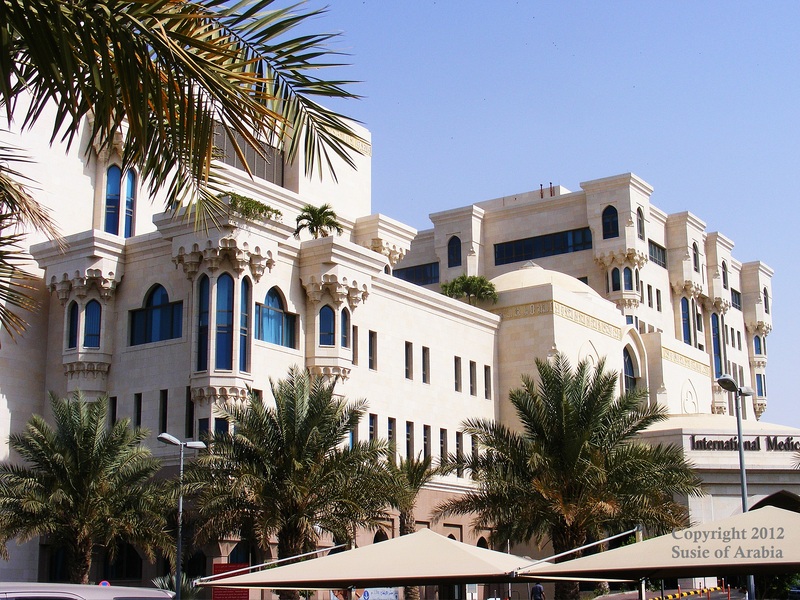 Many businessmen pay for new mosques to be built around the country as a way of giving back to the community. Mosques are distinctive by their minarets. 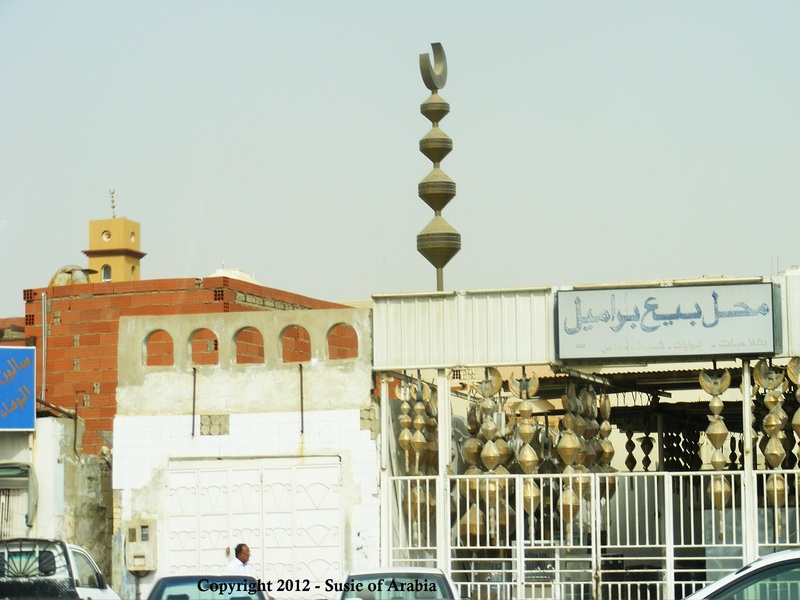 Most minarets are topped off with a crescent moon shape, which has come to symbolize Islam. The crescent moon plays an important role in the religion. The sighting of the new crescent moon with the naked eye marks the end of Ramadan, the month long fasting period when Muslims do not eat or drink during the daylight hours.